The Elder Scrolls: Legends | Wisdom of Ancients - Orcs! Wisdom of Ancients - Orcs! 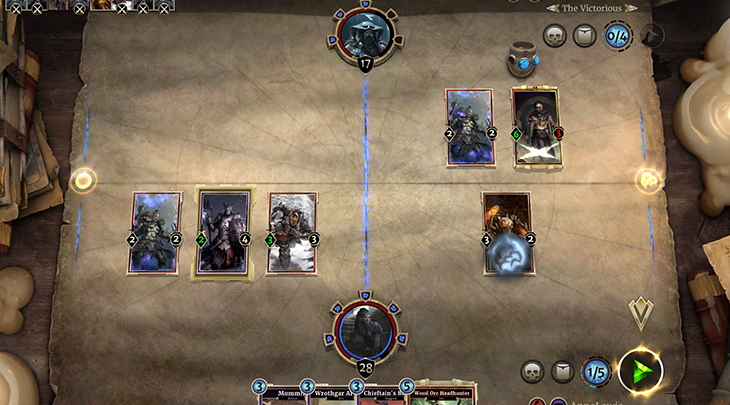 Many of the races in The Elder Scrolls: Legends benefit from being grouped together in a deck. When you build a deck around the Redguards, you’ll get a powerful group of magic-wielders with a penchant for weaponry. A Khajiit-centric deck is guaranteed to contain a large number of cards with the Pilfer keyword, an ability that only gets better the longer you keep your cards in play. But no race-themed deck packs a brutal punch quite like an Orc deck. When you’re searching through all the available cards for a specific creature type, your initial concern is whether or not there’s going to be enough to create a good deck. Sometimes you end up having to put in some less than stellar cards just because they fall into the race you’re building around or because you need some holes filled. This was definitely not the case with the Orc deck I built recently, and even toward the end of deck tuning I still found myself cutting good cards for new additions. While the deck has gone through a couple iterations, this is where I am now and I’m pretty fond of it. As you might be able to tell just from looking at my lineup, this deck isn’t that expensive to build with only six legendary cards: 3 Wood Orc Headhunter, 1 Gortwog gro-Nagorm, 1 Nahagliiv and 1 Blood Magic Lord. 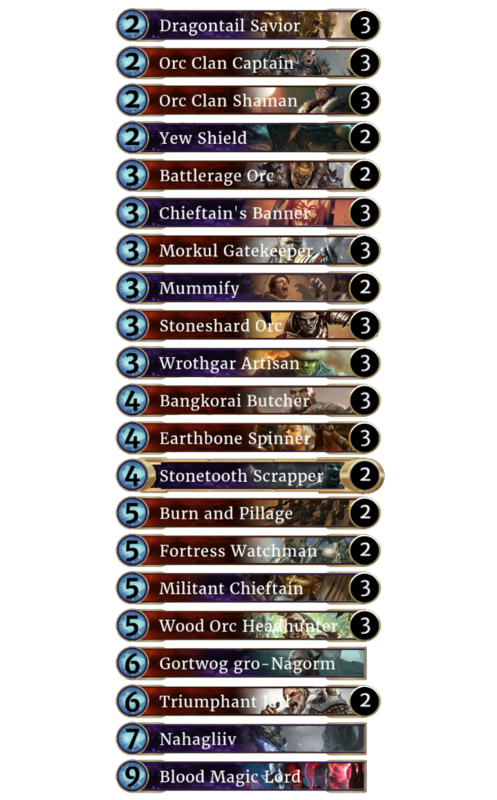 Truth be told, the only ones I think the deck positively needs are the Orcs (and not just because they’re Orcs, but because they’re very good). I added Nahagliiv because he’s amazing, and I added Blood Magic Lord because it’s one of my favorite cards. The deck also wanted a little bit of a top end, which both of the latter legendaries provide. Yew Shield: we realized that sometimes you just have to have someone with guard in order to survive the more aggressive decks. Since there aren’t many Orcs with guard, this has proven to be a reasonable alternative. Mummify: We definitely need an answer to things like opposing Guard creatures or...well, anything really. Earthbone Spinner: Remember what I said about needing a way to silence things? Well, Earthbone Spinner accomplishes that. Despite not being an Orc, she’s one of the most efficient ways to silence things in the game. Burn and Pillage: Even nerfed this is one of the best board wipes in the game, and it helps us seal the deal when we’re pulling ahead. 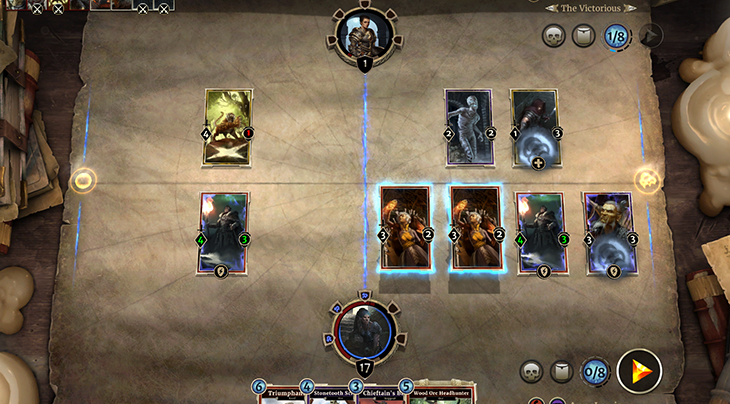 Triumphant Jarl: Orcs don’t have a ton of natural card advantage. What they do have is aggression and large bodies, which pair perfectly with the Jarl to help us draw cards. One of the best perks the deck has recently received, and one of the ways I knew it could be an actual contender, was when Stoneshard Orc was released in the Madhouse Collection. This was easily one of the best gifts we could have gotten, and it really pushed the deck in the right direction, giving us a way to clear out Guard creatures or finish off wounded ones while also advancing our board. While tribal strategies can be tricky, as you need a lot of versatile cards in a specific type, when they work they’re pretty rewarding. You usually end up with a ton of synergies that work well with one another across numerous cards. Nearly every card in the deck has the word “Orc” somewhere on it, and you can usually accumulate a good number of buffs on the board at any given time. I put together a quick video showcasing a match so you can see my Orc deck in action. Feel free to find and follow me over on Twitch or Twitter, and let me know what kind of Legends content you’d like to see going forward, or what you think of Orcs!